This card took me a little out of my comfort zone. I like a more clean and simple look but we all need to try new and different things that take us a little out of our comfort zone. A clean and simple holiday card. 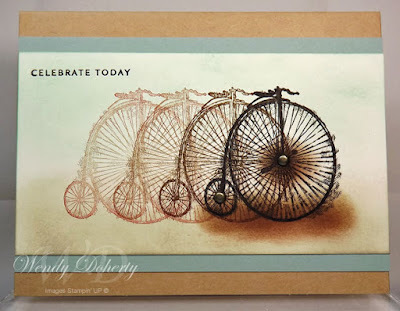 I think this stamp set was one of the first sets I purchased from Stampin' Up. 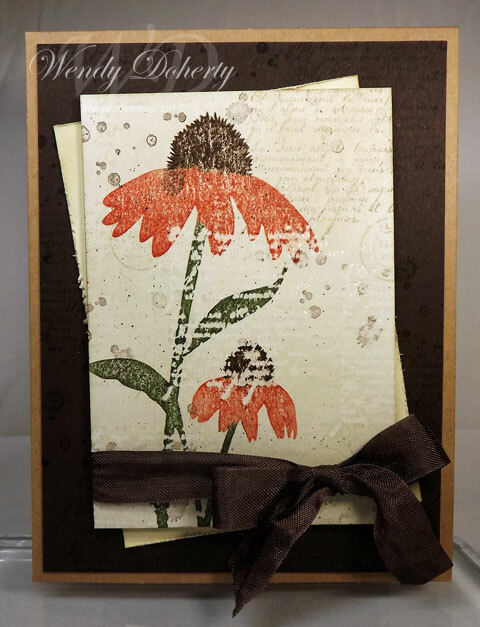 This card was inspired by a card created by Michelle Zindorf. She had instructions for how she created the motion on her blog. Here is the link. She does some amazing work! A quick and simple masculine birthday card. I'm still trying to use some of the items that were discontinued long, long ago. Love the distressed look of the designer paper. 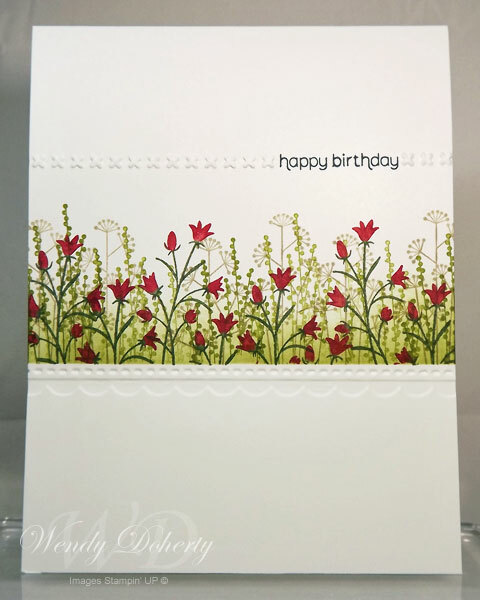 This card is only one layer with no embellishments other than the embossing. No extra postage required. 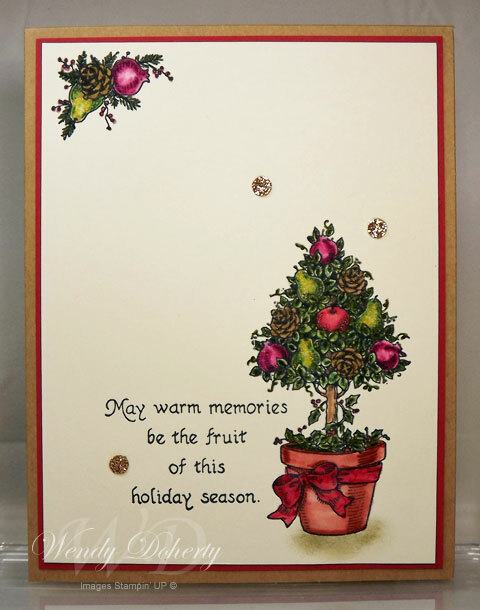 I’ve always had an interest for various crafts, but after being invited to a Stampin’ Up workshop several years ago, I was hooked! I signed up to be a demonstrator and enjoy sharing this craft. All content (including text, photographs, and design work) is the copyright of Wendy Doherty. 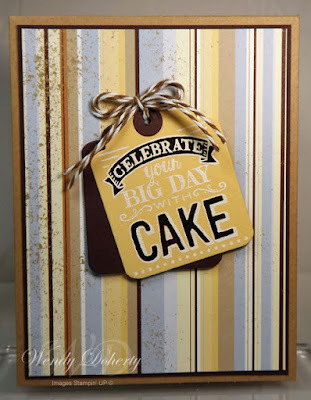 Many images copyright Stampin' Up! 1990-2016. Content within this blog is shared for personal/non-commercial use and inspiration only unless asked for permission to use elsewhere. Thank you!